We were looking forward to the maiden voyage of our new Sea Eagle Fasttrack Kayak, which we purchased a few weeks ago. 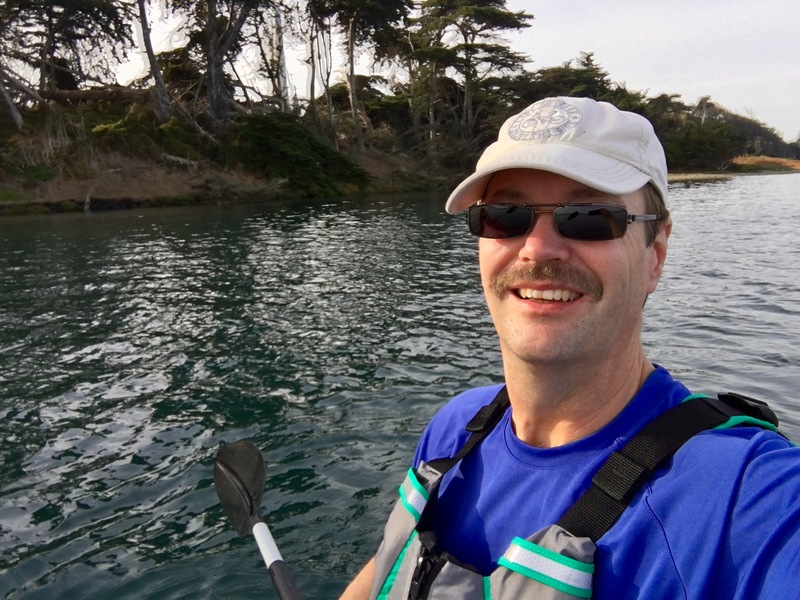 We had visited Elkhorn Slough about two years ago and knew it would be a great place to kayak and get up close and personal with nature. The previous evening we were reading the warnings on the park service’s website about people getting taken by the current out to sea, or capsizing and being surrounded by angry otters (ok, I made that one up). However, after checking the tide charts and arriving early to the launch area, we had a perfect morning on the water. The weather was warm, even at 8am. The water was mostly calm, and there was a slight breeze towards the sea. Moving in the water was a breeze with the Sea Eagle, and it is also very stable which gave us confidence. 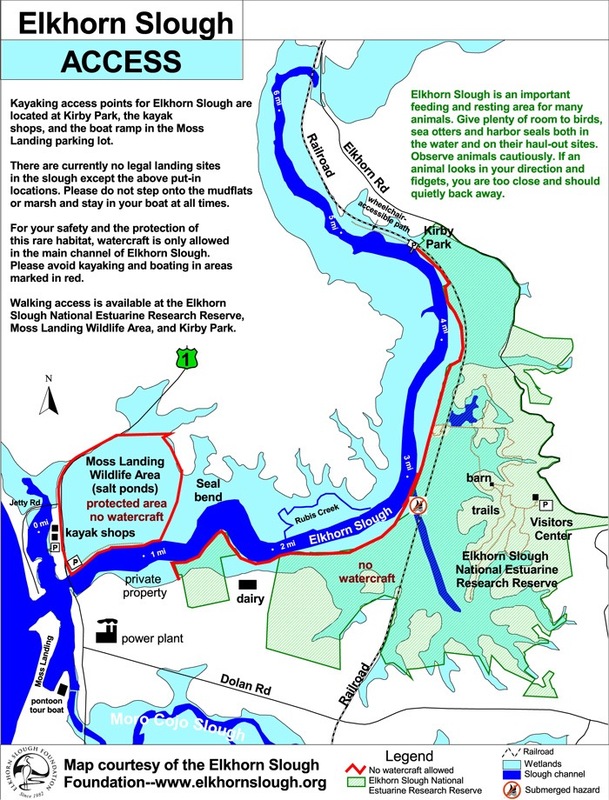 Elkhorn Slough is distinguished from an estuary, as there is no year-round river or stream flowing into the slough. As a result, it is saltier and you find seal, sea lions, and even sharks in the water. The slough winds into the surrounding area about eight miles, which gives you plenty of paddling time. It is also a great place for bird watching. 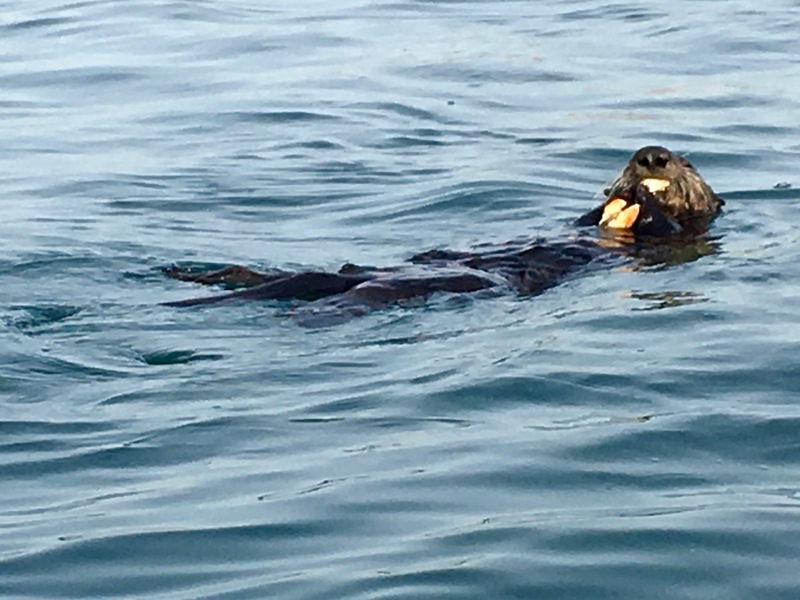 You will see dozens of otters. They are very playful and this guy was eating a hearty breakfast. 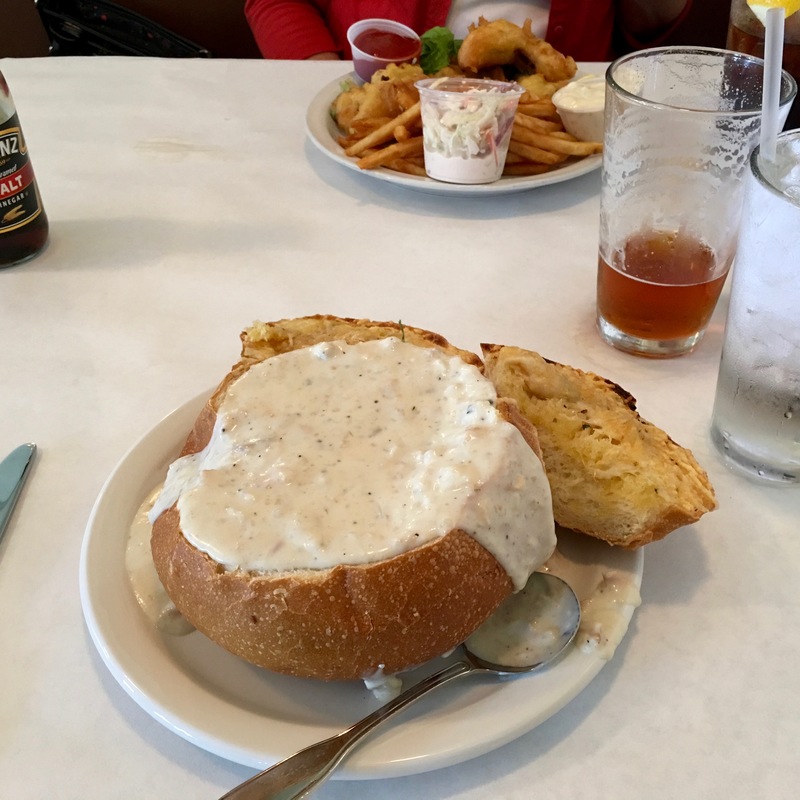 Speaking of food, we also worked up a hearty appetite and went to Vivolo’s Chowder House in Monterey, walking distance from the aquarium. I love the way they make garlic cheese bread from the tops of the bread bowls. My wife’s fish and chips was really good, too! 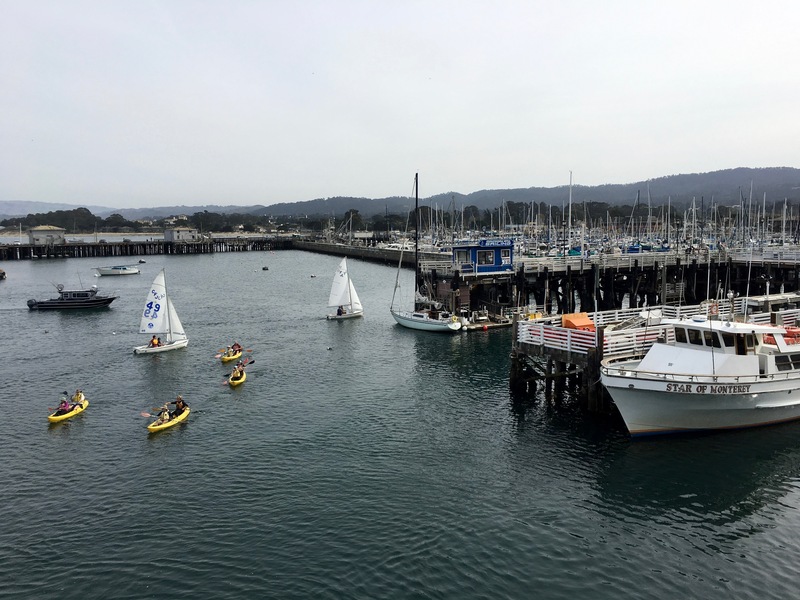 From there, we dropped by the wharf for a stroll and saw several kayakers in the harbor. Notice how busy the harbor is! 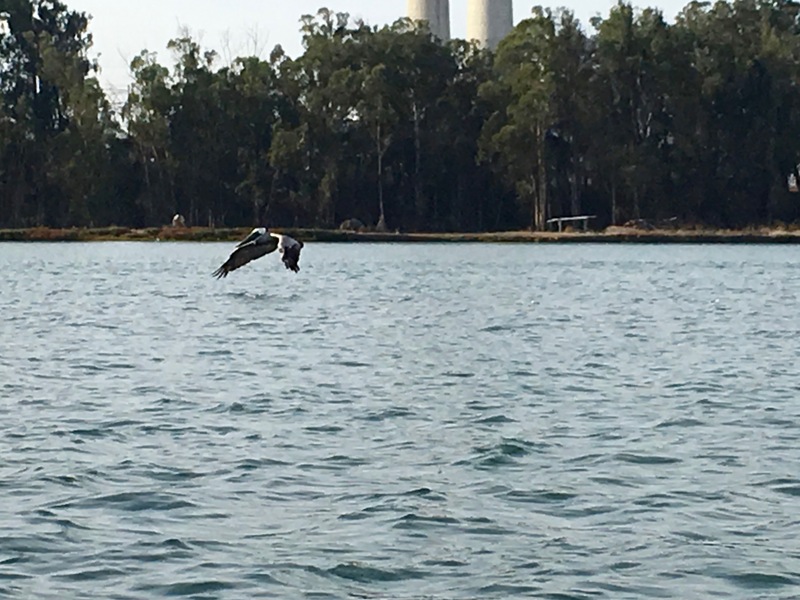 Our first kayak trip with the Sea Eagle was a success, and it will be great having it available for future trips. It is light (28 pounds) and folds up small enough to easily store in the basement of the RV. 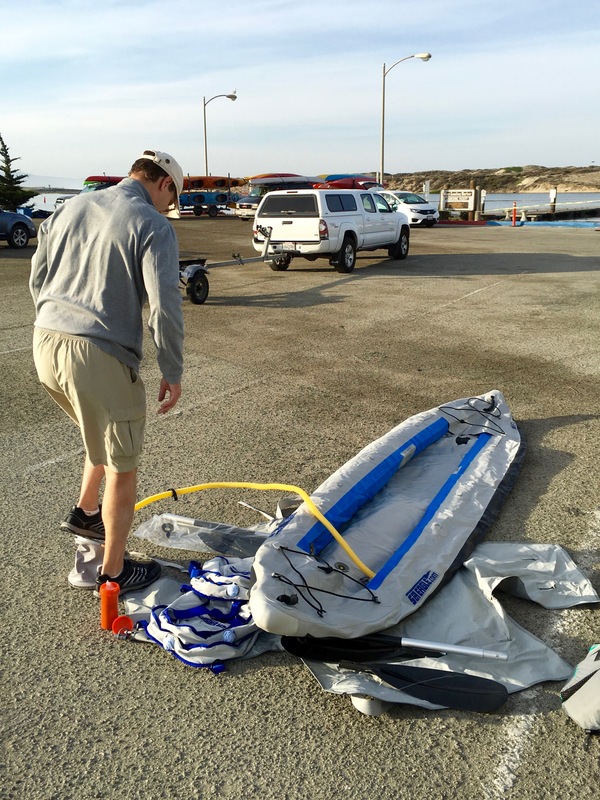 We will be leaving it at home for our next trip, however, as we head back to Half Moon Bay. I’ll be taking my kite, however, and hope for some wind and warm weather! Thanks! You would enjoy the area. I’m glad you enjoyed your kayak. It looks like a good place to kayak. I love Monterrey…..looks like it was perfect weather…. Good photos. 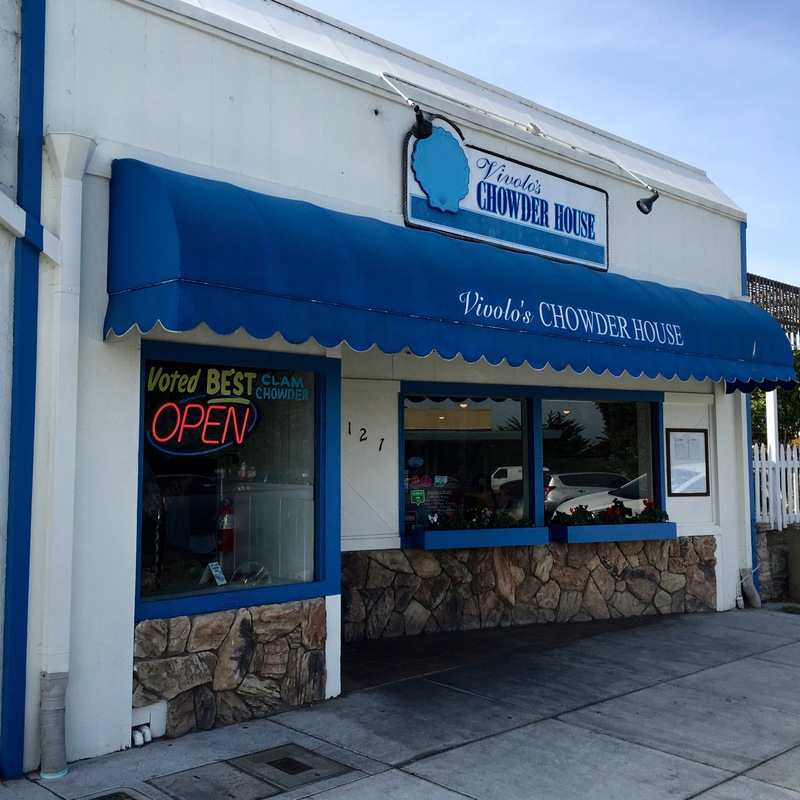 The Chowder looks great. Thanks for following. I like company. We are looking for an inflatable Kayak for our next trip. Do you feel this one was worth the money? Looking it up, it seems very expensive, but if it is just perfect it may be worth it. 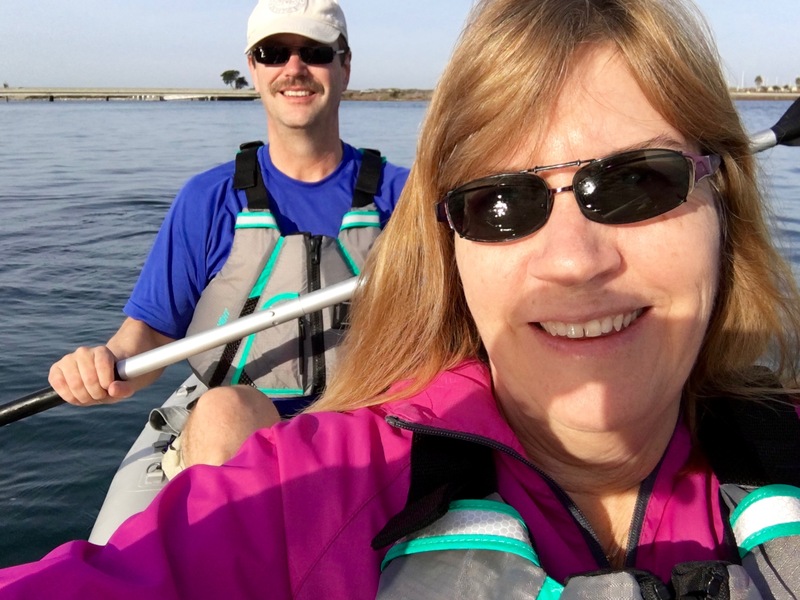 My wife has had some back problems, so we wanted a kayak that was very stable and easy get in and out of. The fastTrack has a drop stitch floor you can stand up in, and the overall design is very stable and easy to use. 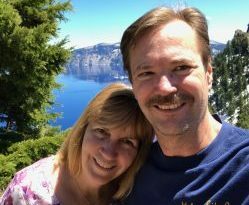 We also wanted a “real” kayak that would be durable and that we could carry in our RV or tow vehicle. SeaEagle uses extremely tough material and yet is still light at 30 pounds. It is also very easy to set up and tear down. Thanks. That helps a lot. Travel safe.